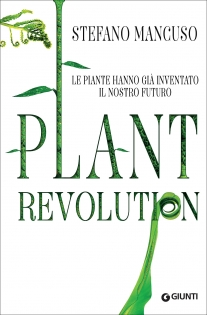 This book presents a revolutionary outlook on the world of plants: we must seek inspiration in plants to find new solutions for our future on earth. Plants evolve. They develop survival solutions that are different from those of animal world: where the animal concentrates, the plant distributes. We need plants to invent new technologies, to imagine a model of social organization that is no longer centralized but decentralized; no longer hierarchical, but acephalous, open to replicate the super-organism of the forest with its underground networks and its extensive organization. Plants have become a paradigm of modern life because their flexibility and strength are in contrast to the severe fragility of the human-animal model. In a word, plants are amazing: they consume very little energy, they perform passive movements, they are robust, they behave as colonies, they are able to live in extreme environments, they learn from experience, and they have invented thousands of solutions, which differ from those of the animal world. From the organization of our societies to the construction of a robot, we could not find a better source of inspiration. The strategies that regulate how plants function are an extraordinary paradigm for a sustainable future, a living model of widespread democracy.